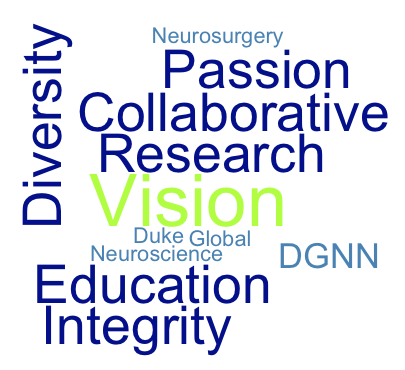 The DGNN was founded in October 2014 and is led by the Division Chief, Dr. Michael Haglund, but DGNN’s roots trace back to 2007 when Dr. Haglund established Duke’s collaboration with Mulago Hospital/Makerere University College of Health Sciences in Kampala, Uganda to build neurosurgical capacity. 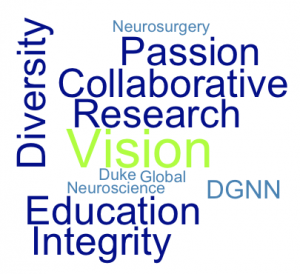 Duke Global Neurosurgery and Neuroscience’s mission is to promote health in low- and middle-income countries through a multi-faceted evidence based and collaborative approach to improve patient access to care and health outcomes, strengthen health systems, and inform policy. Integrity– We are honest and open in our communication, service, and academic work. Collaborative– We are respectful and professional in our relationships with colleagues domestic and abroad. Research– We are evidence based, innovative thinkers, with a focus on national priorities. Diversity– We are welcoming of all backgrounds, experience, and viewpoints. Education– We are promoting empowerment of our team, communities, and individuals. 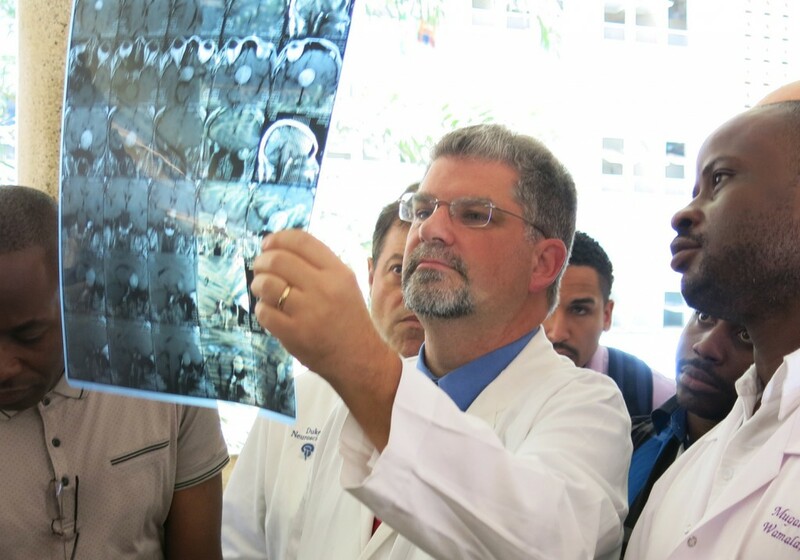 GOAL: By year 2022, to have 20 Neurosurgeons all over Uganda, operating with modern equipment.